Hotpoint is one of the best-known brands for ovens and it’s easy to see why. 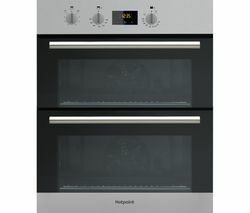 Hotpoint ovens are easy to use and exceptionally reliable. They are designed to complement your kitchen with their simple, unfussy design. Hotpoint ovens won’t take up too much room in the kitchen, yet they still have a generous capacity so even when you don’t have much space, you don’t have to worry about cooking larger meals. If you enjoy cooking for your family, a Hotpoint oven will be your asset in the kitchen no matter what you want to prepare. Hotpoint ovens are available in a selection of sizes, styles and finishes that include clean white, professional stainless steel and elegant black that will look great in your kitchen no matter what your taste. And because Hotpoint ovens have good energy ratings, they don’t need as much energy to heat up, so they are less harmful to the environment. 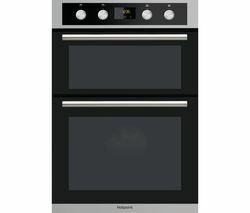 If you can’t find a Hotpoint oven you like, check out our complete range of stylish Baumatic ovens and if you can’t find anything there, check out our collection of great looking and reliable Smeg ovens.